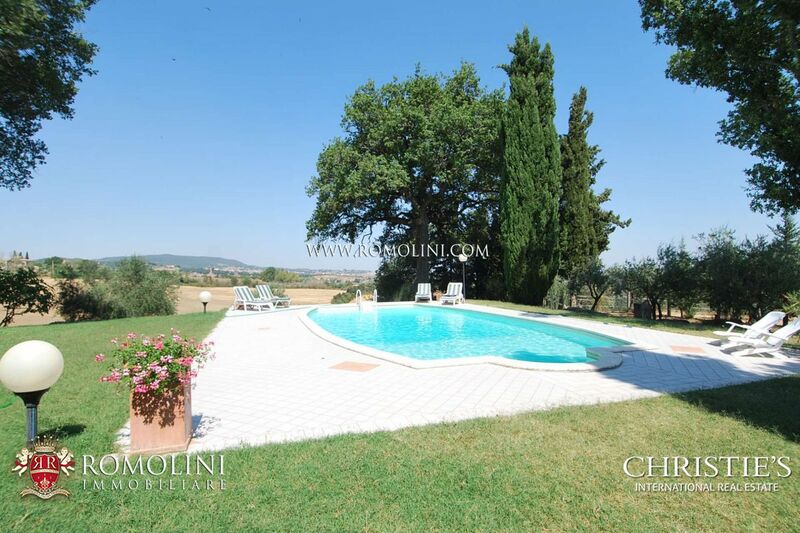 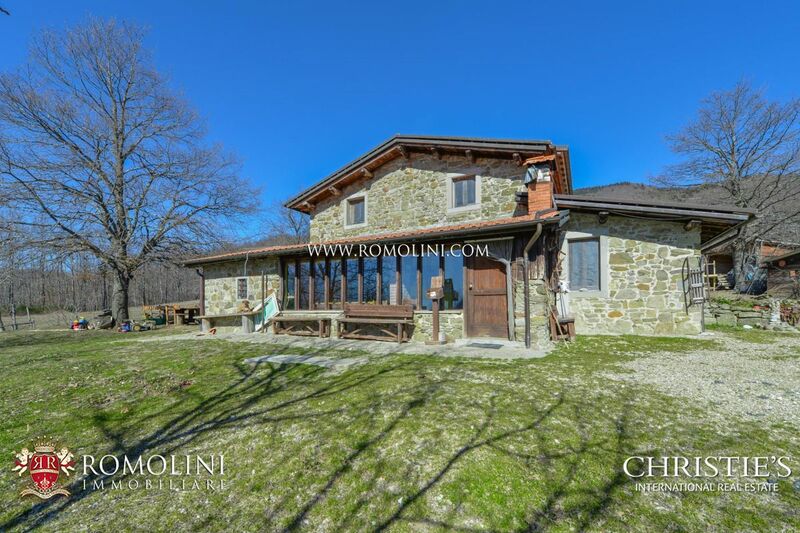 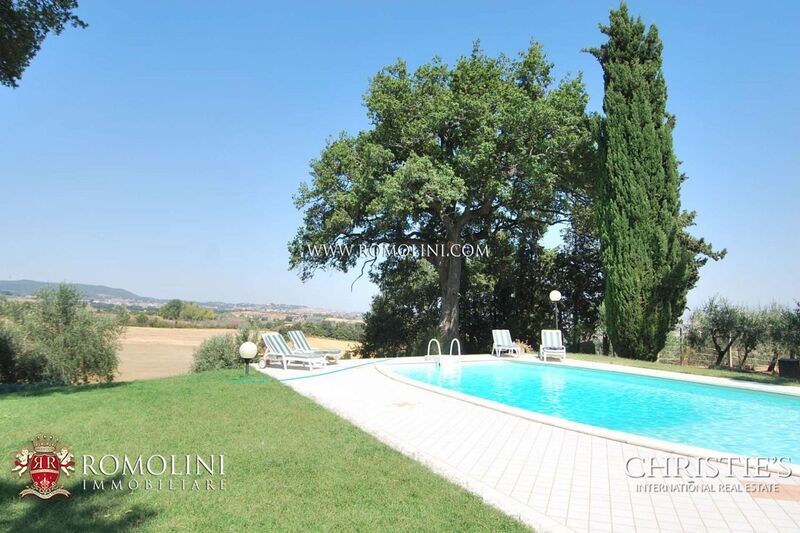 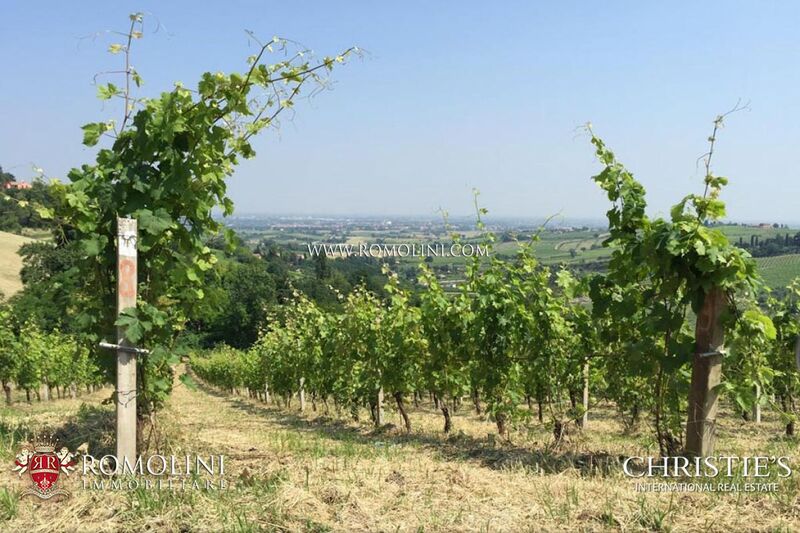 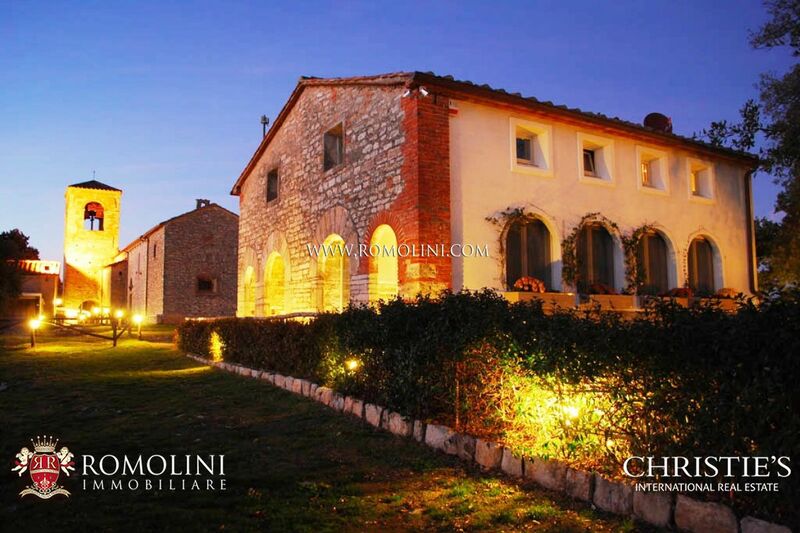 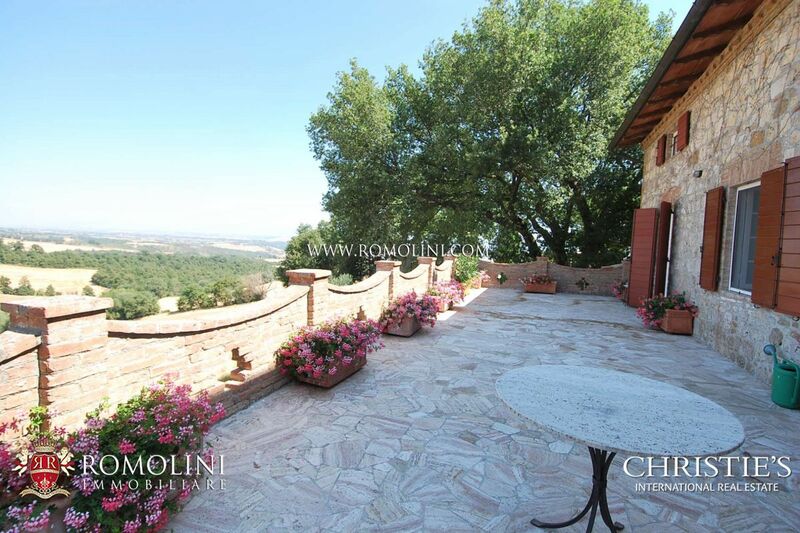 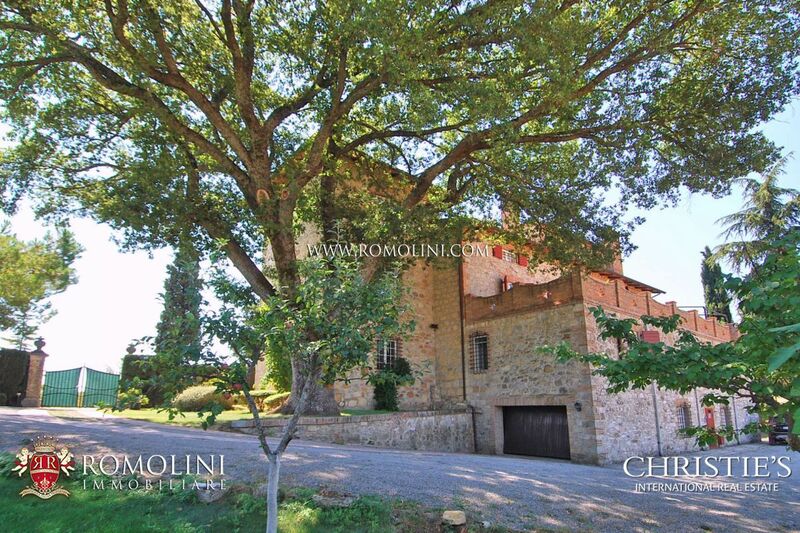 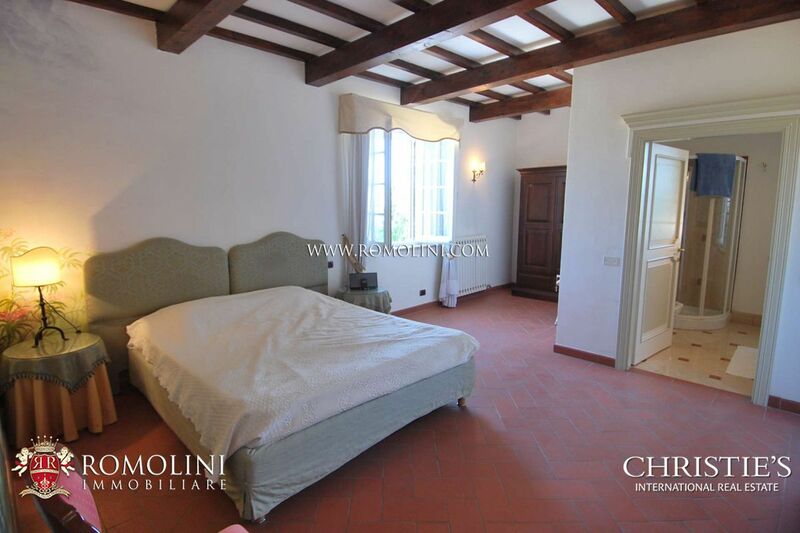 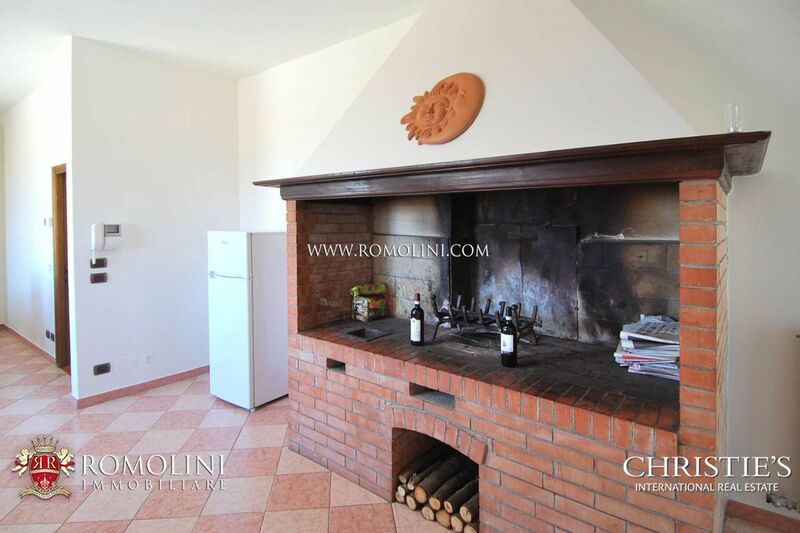 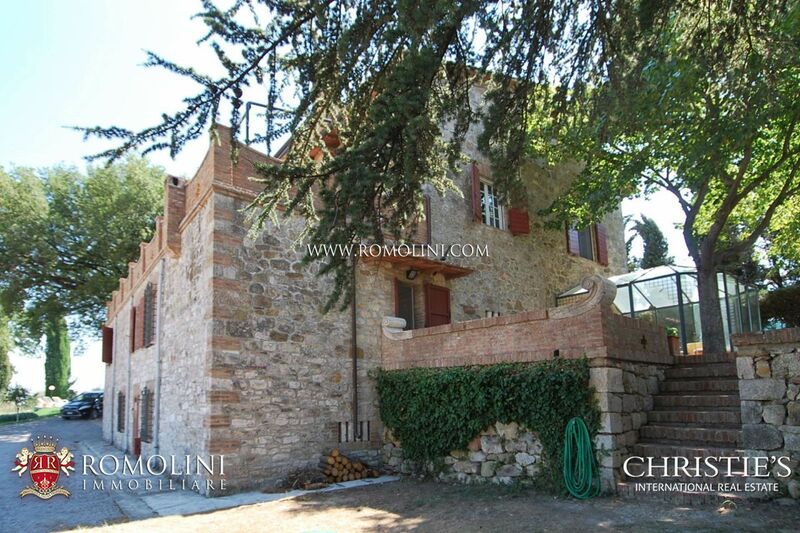 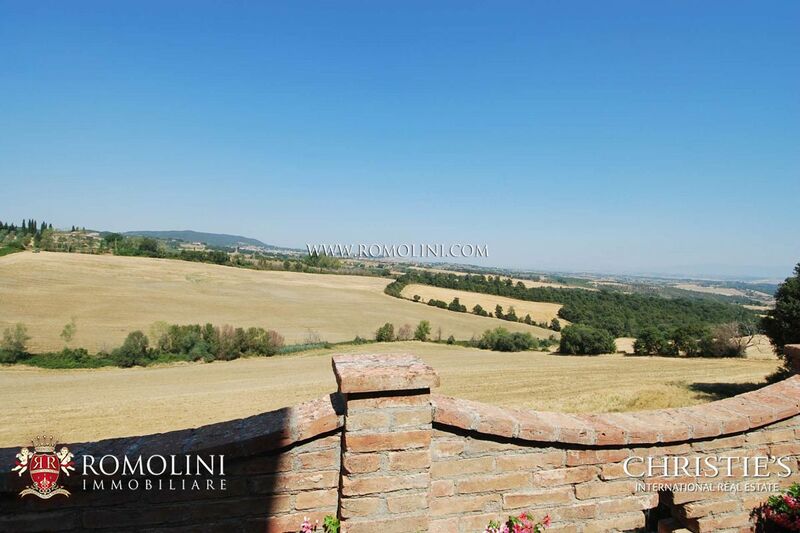 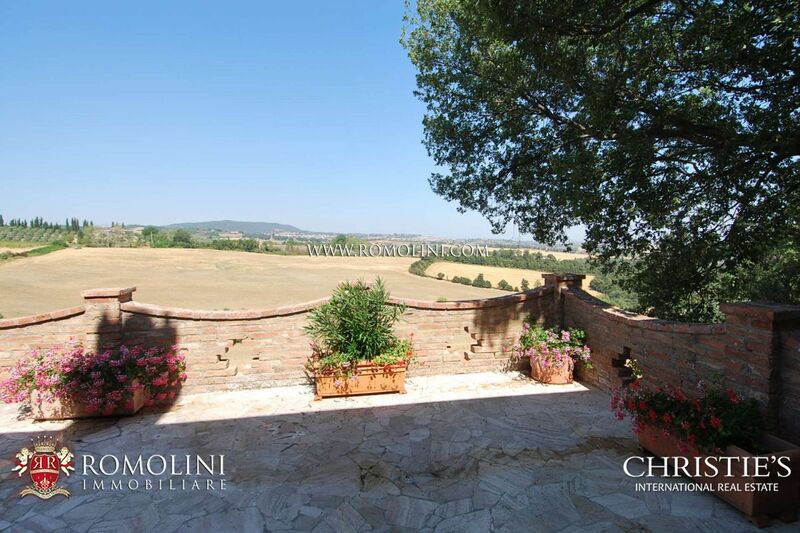 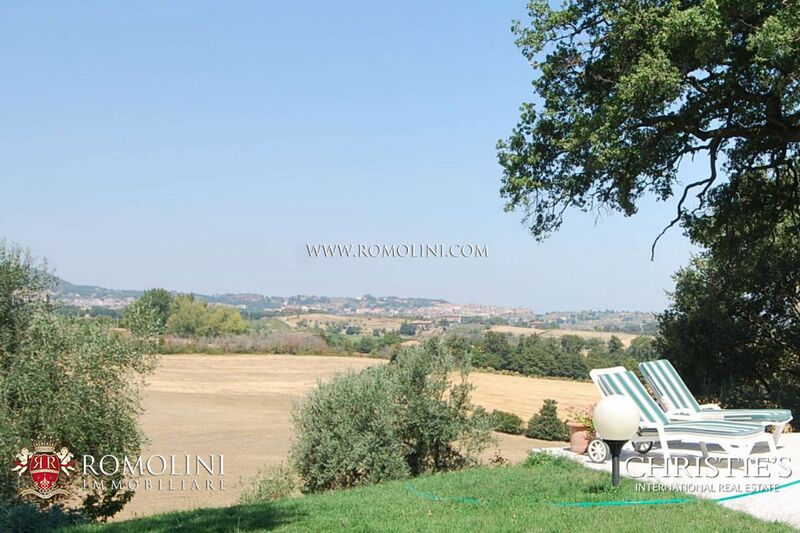 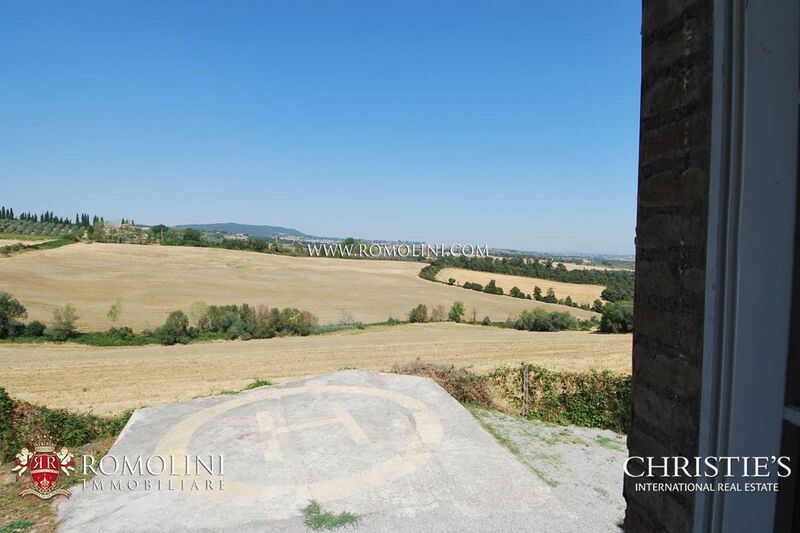 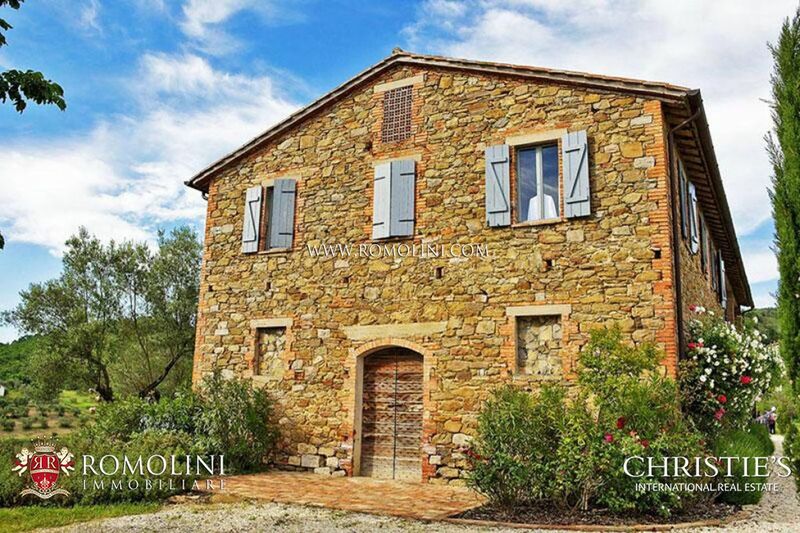 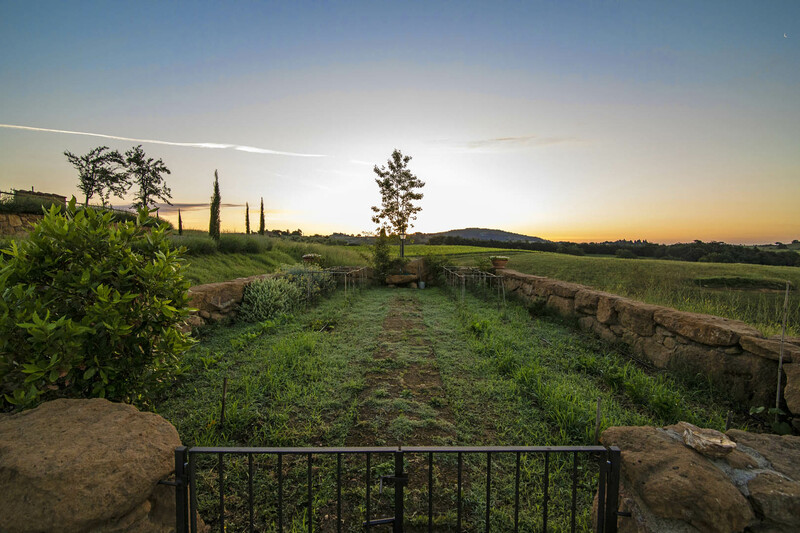 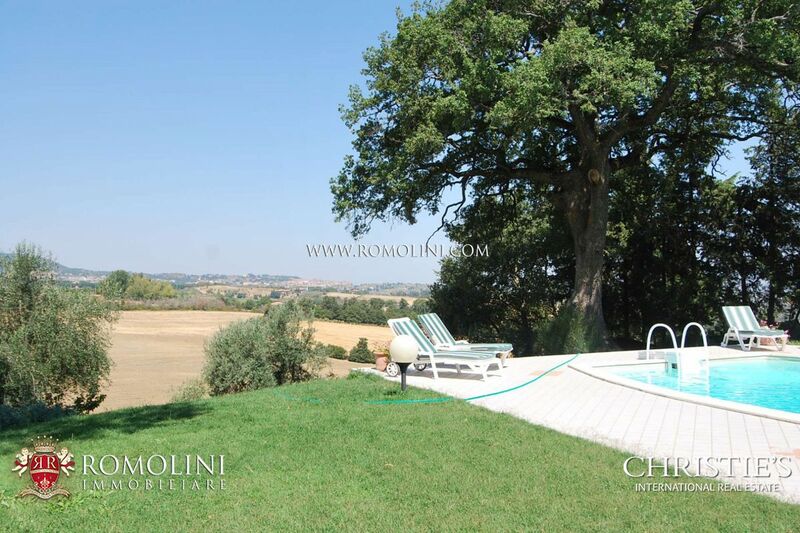 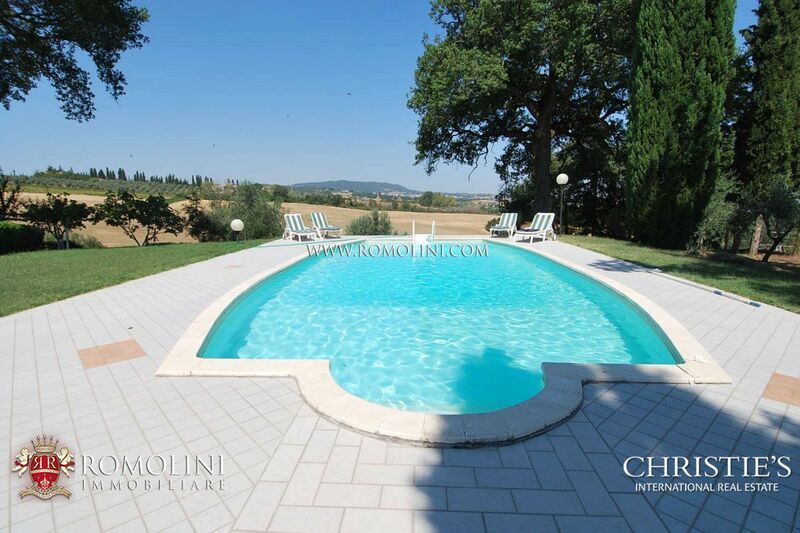 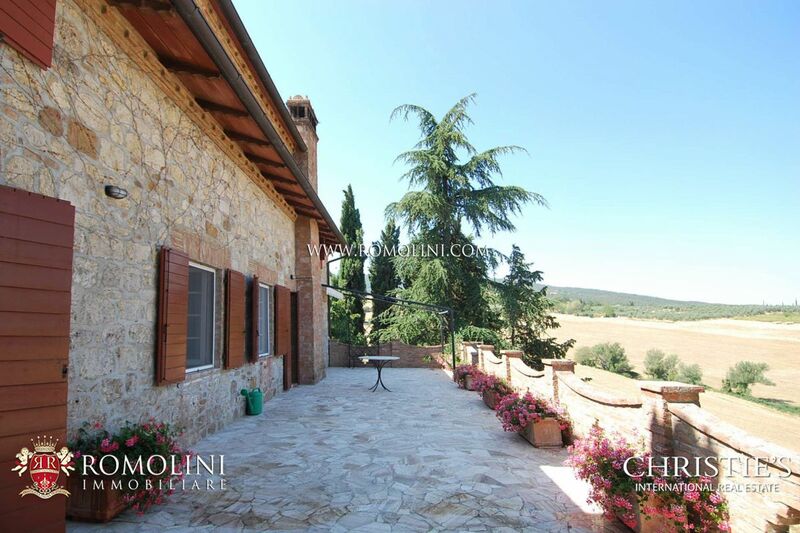 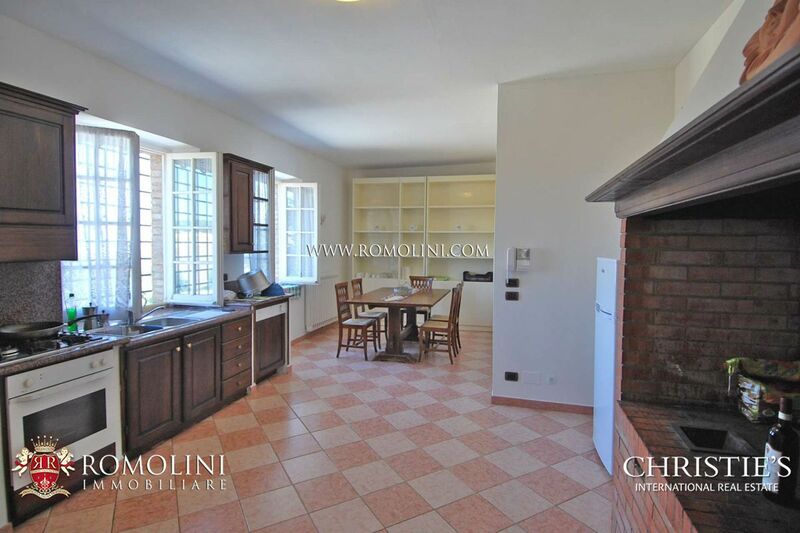 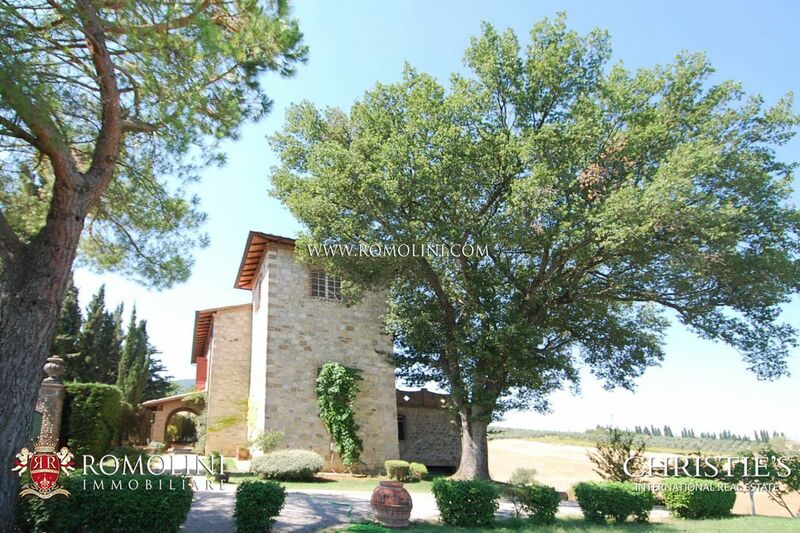 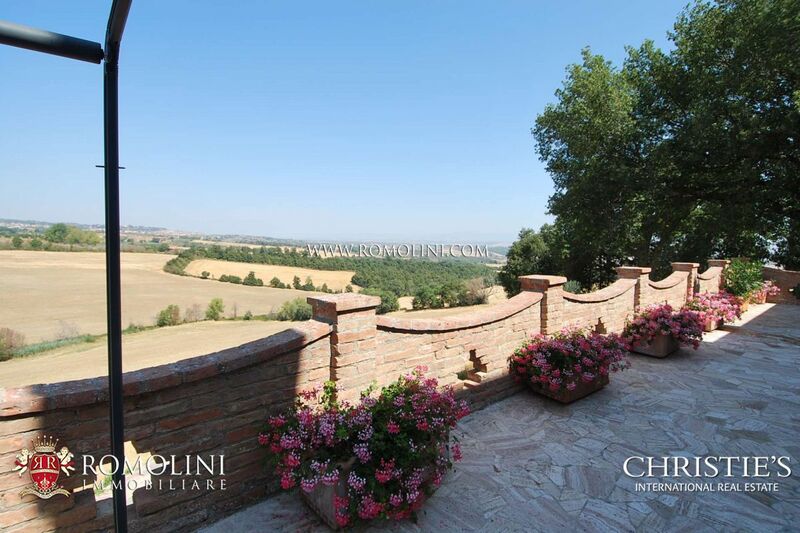 Only 9 km from Chianciano Terme, 15 km from San Casciano dei Bagni, on a hill with a beautiful view over the Valdichiana, villa on four levels for 800 square meters in all. 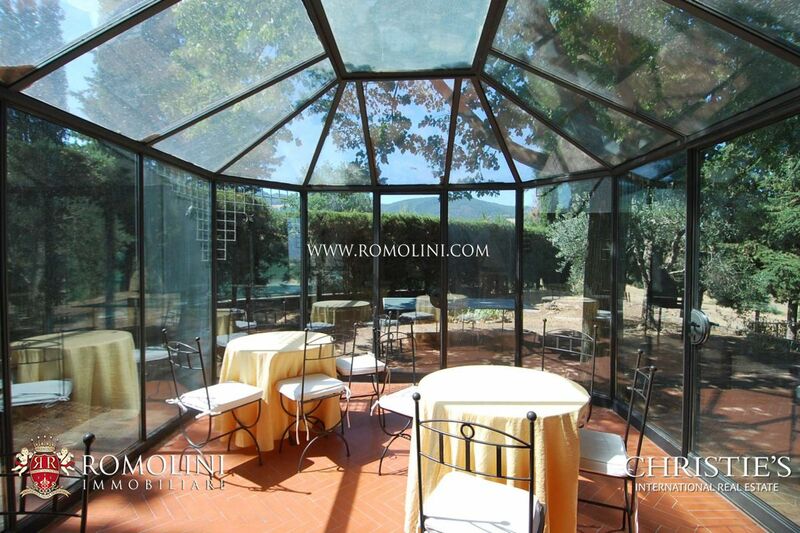 The property is surrounded by a park of 3,000 sqm with pool and landing strip for helicopters. 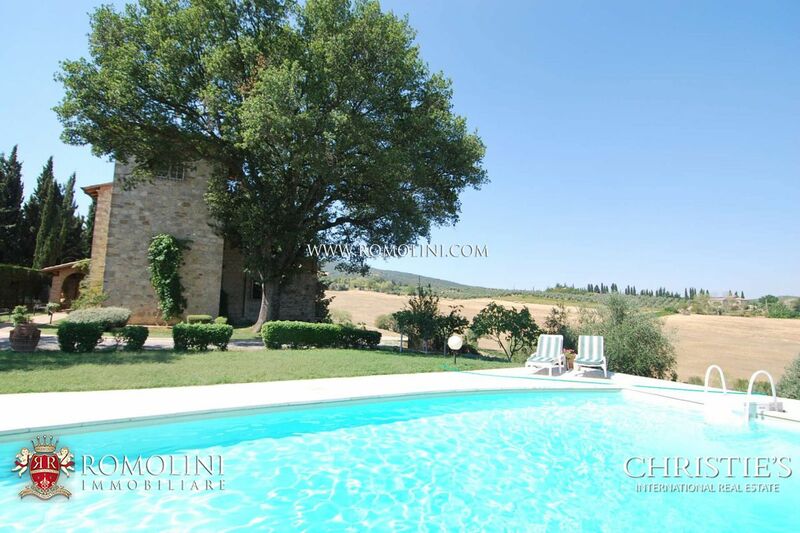 We are only 19 km from Montepulciano in position with respect to some of the most important cities of central Italy: Siena (85 km), Florence (129 km) and Rome (166 km), are all within one hour and a half. 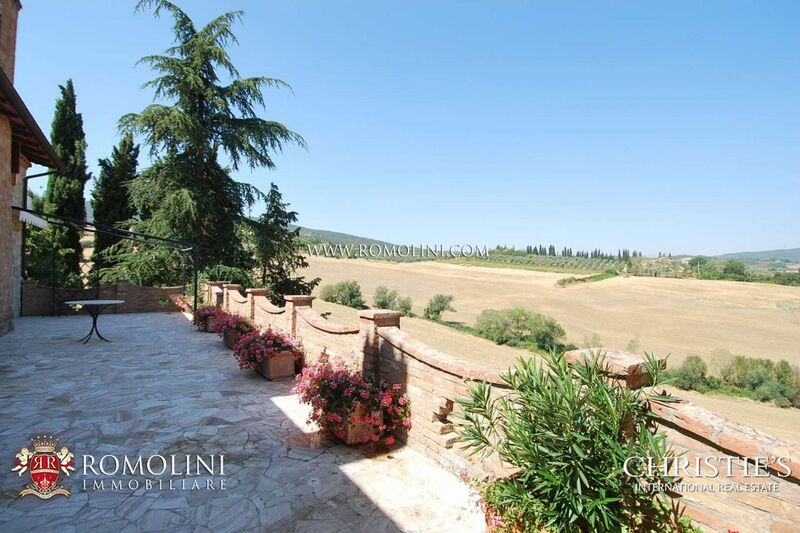 The nearest airports are: Perugia, one hour and 15 minutes away, Florence, one hour and a half, and Rome, one hour and forty minutes. 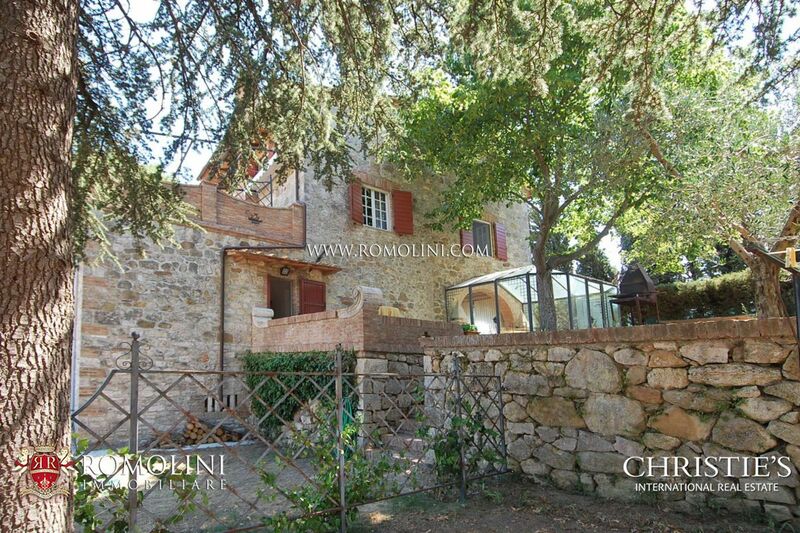 The property has been used until recently as a B & B and is disposed as follows. 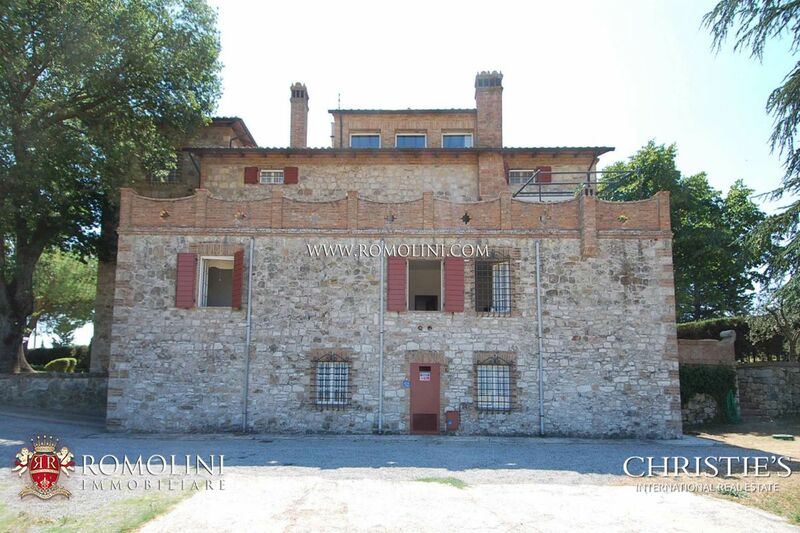 - Basement: garage and warehouse storage. 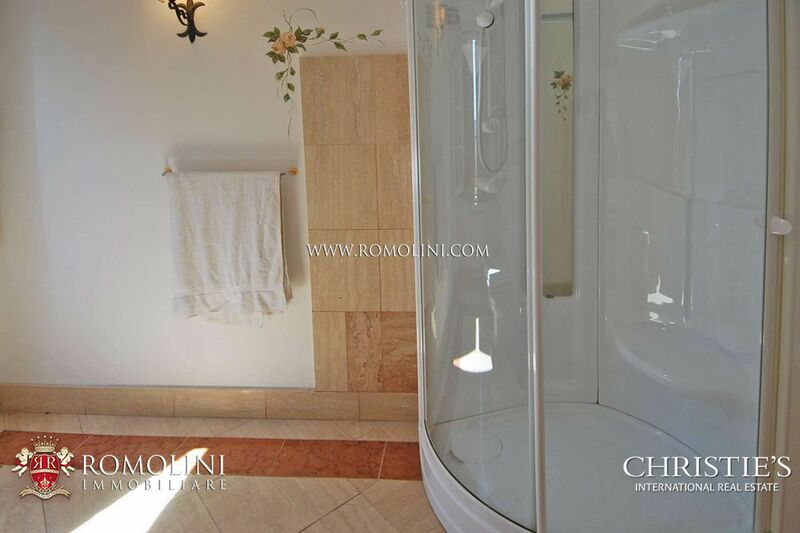 - Ground floor: entrance, living room, TV room, breakfast room, bathroom, bedroom with bathroom, kitchen with oven and access to the outdoor terrace. 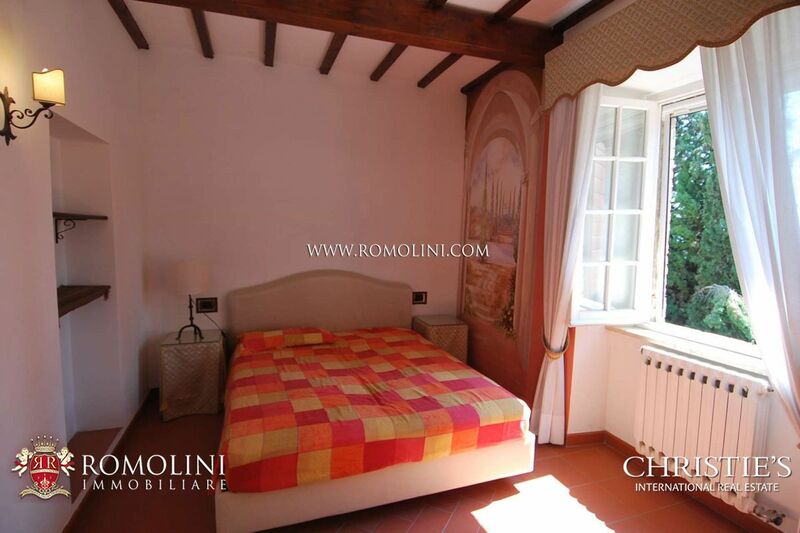 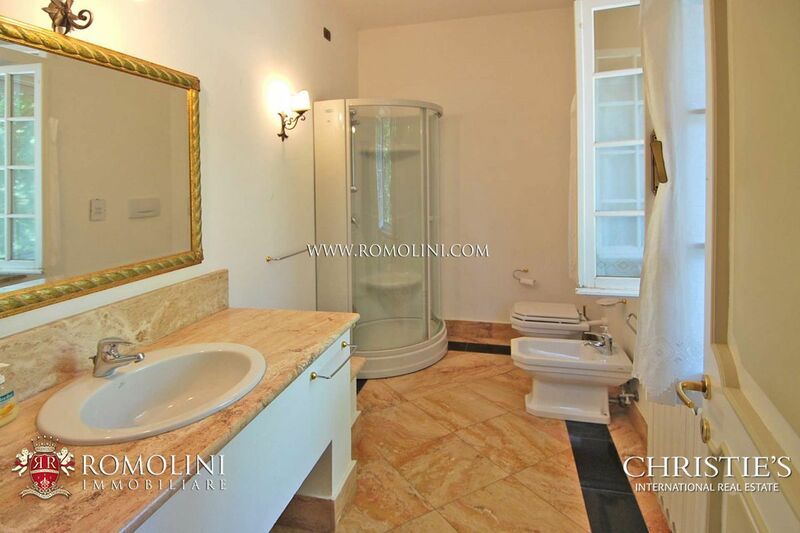 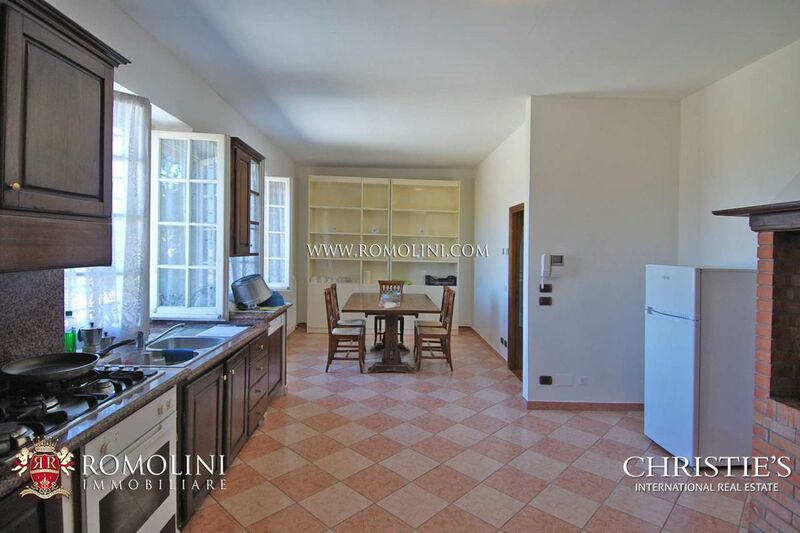 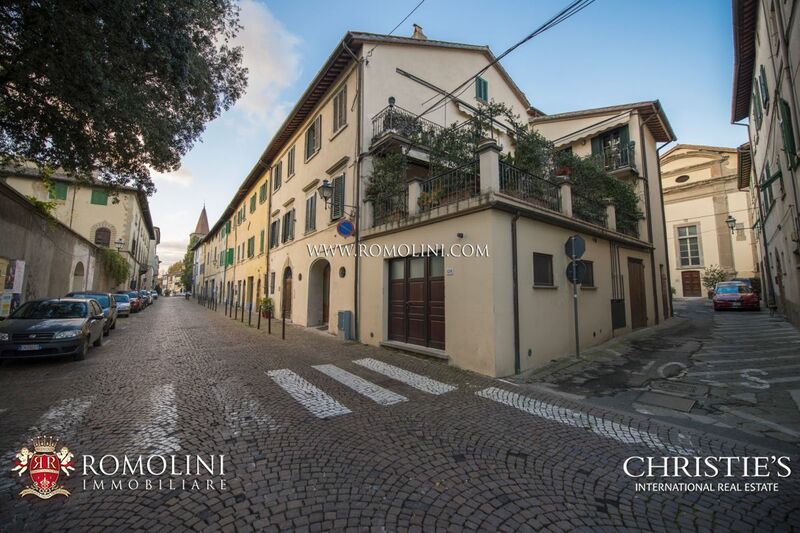 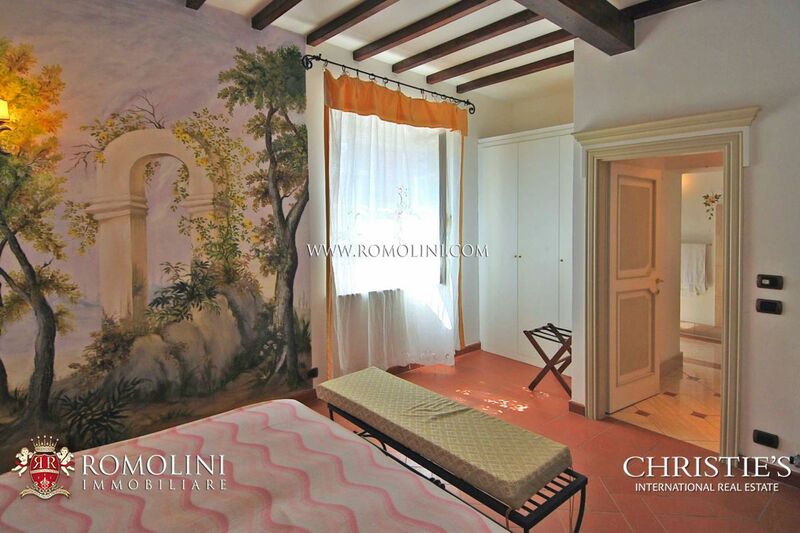 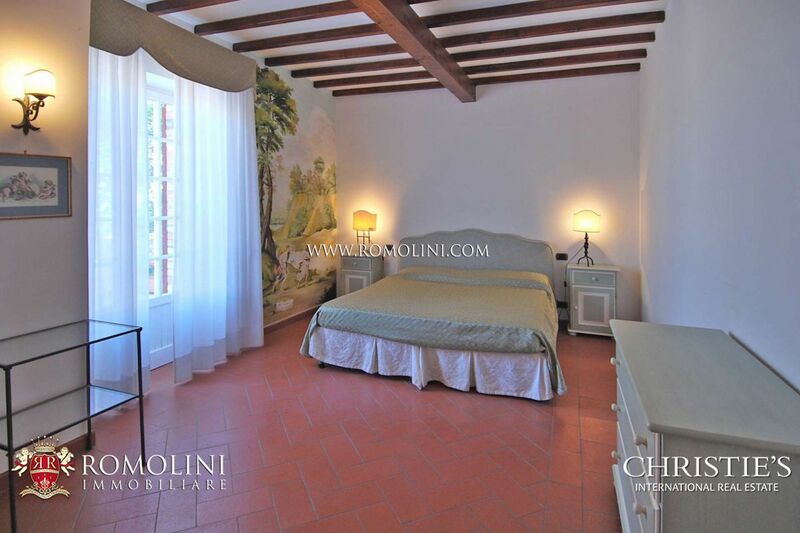 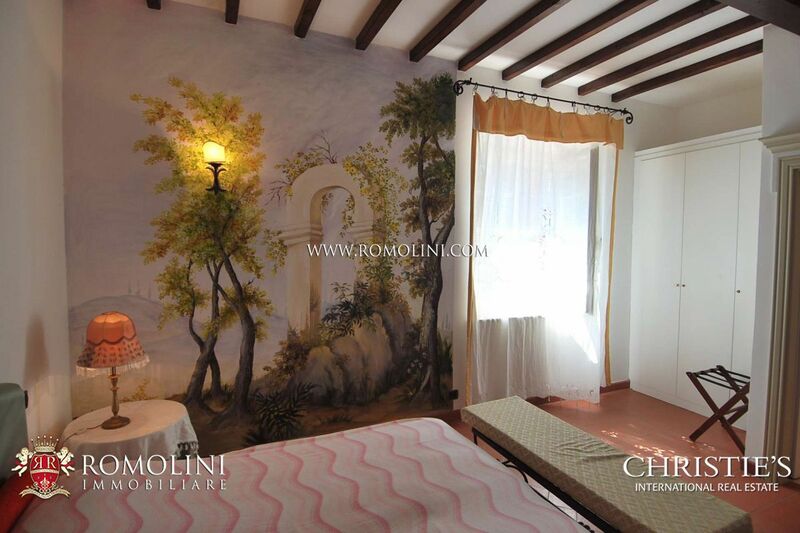 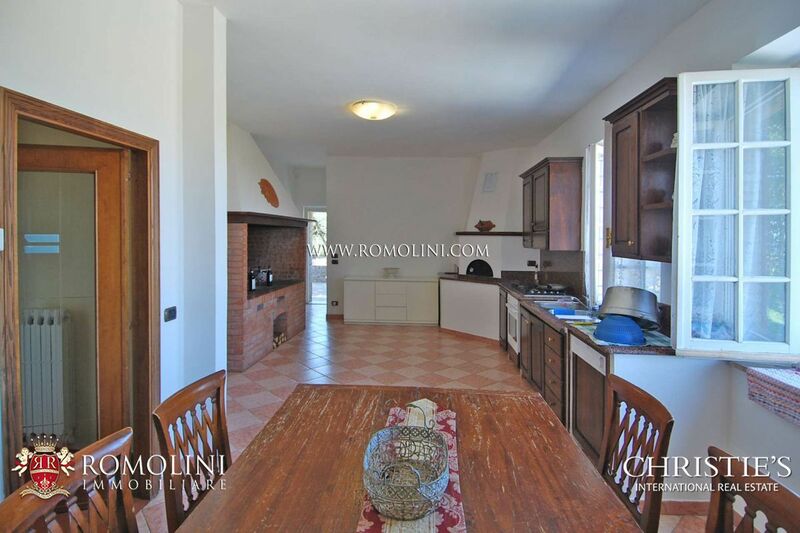 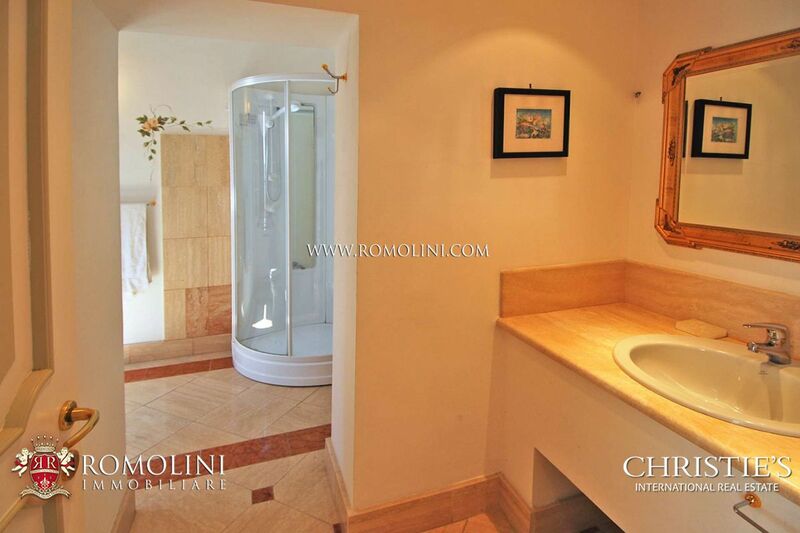 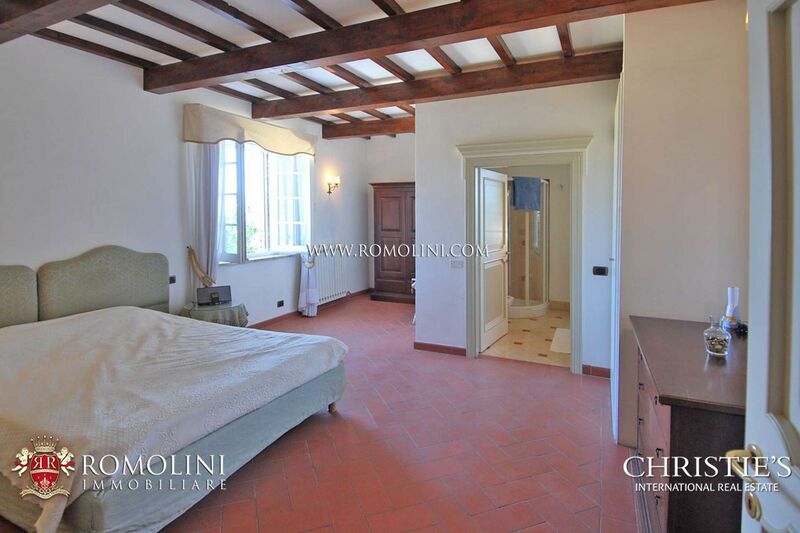 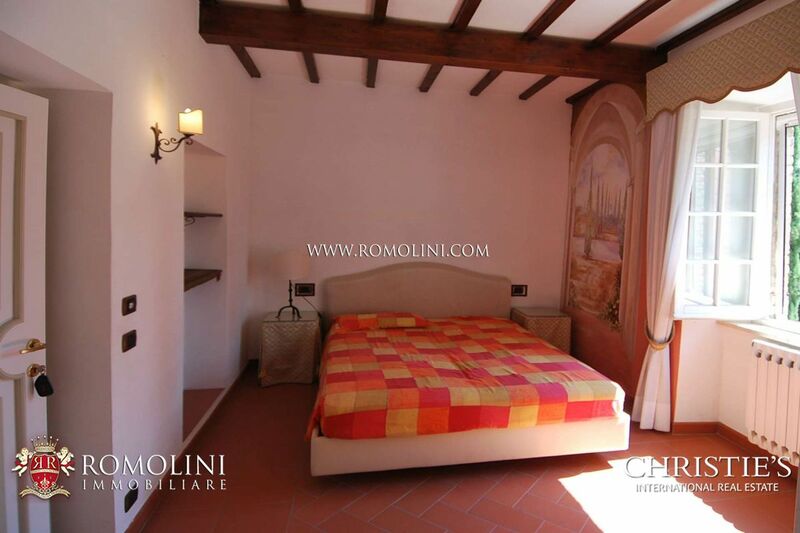 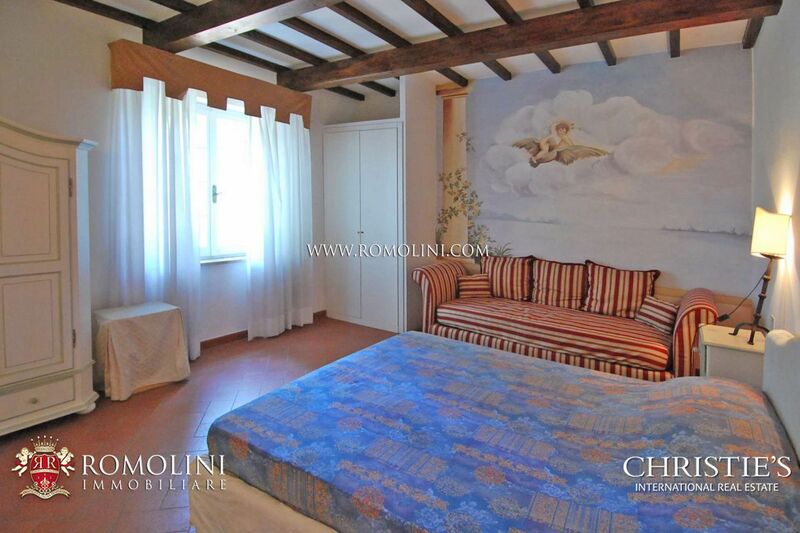 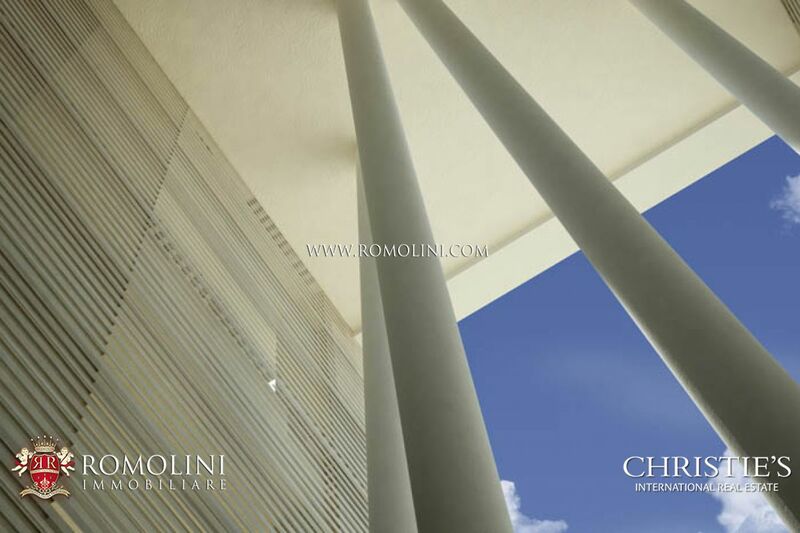 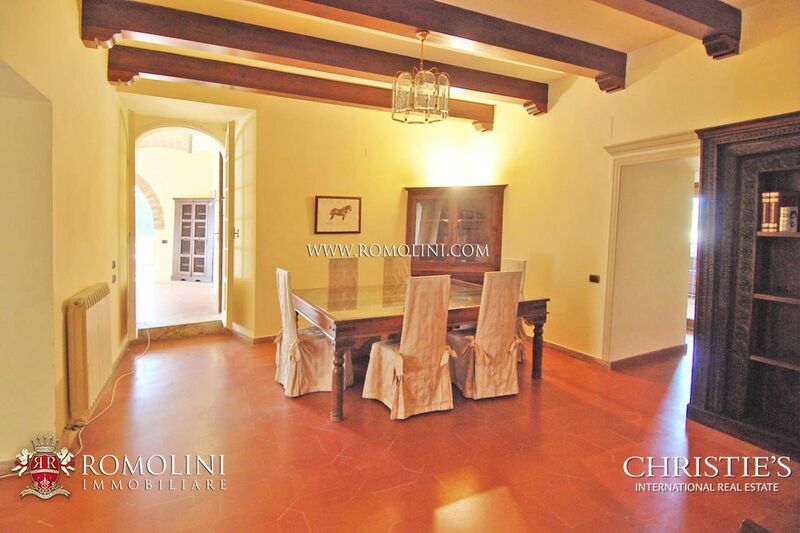 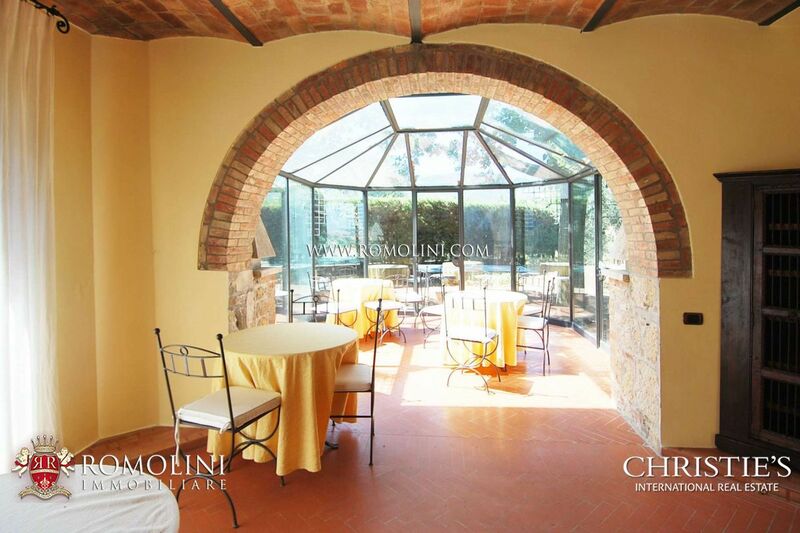 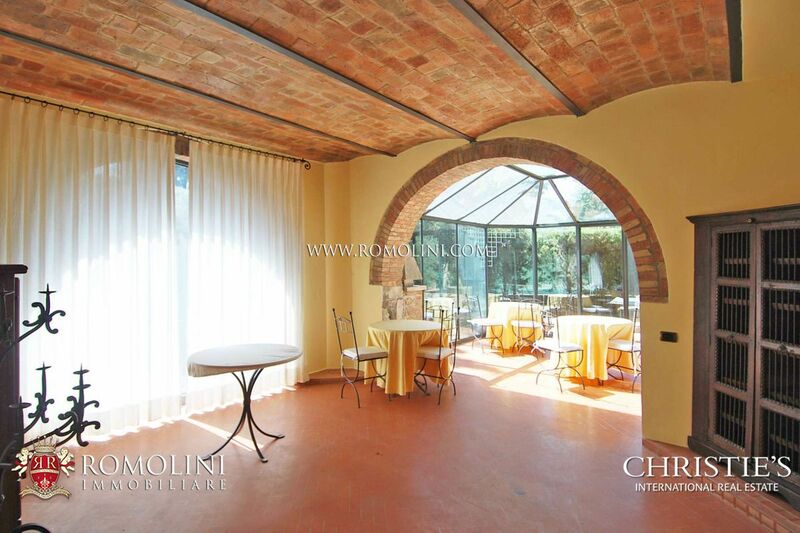 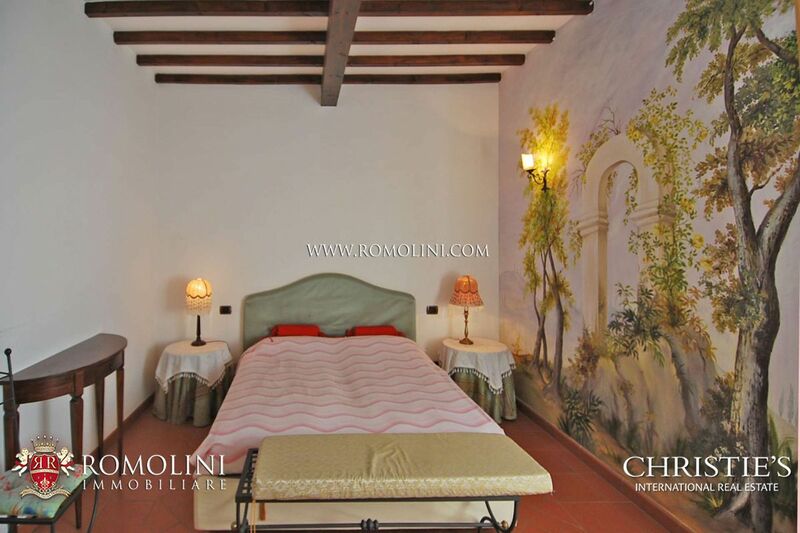 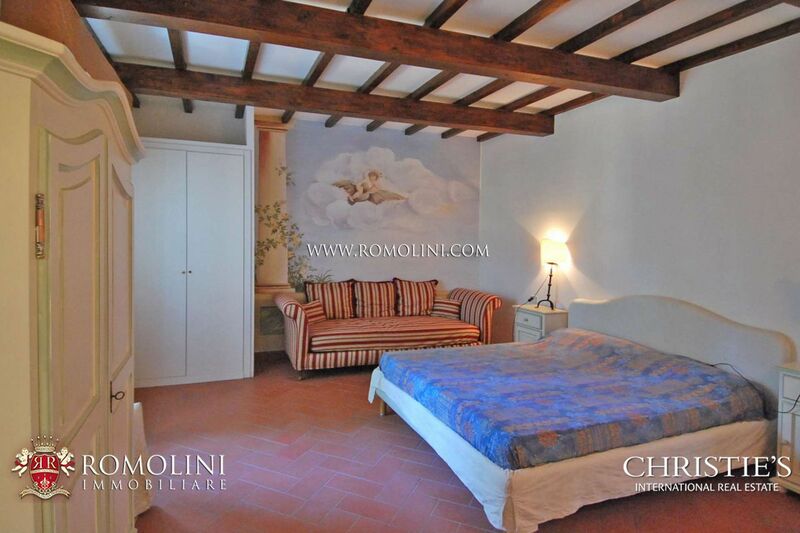 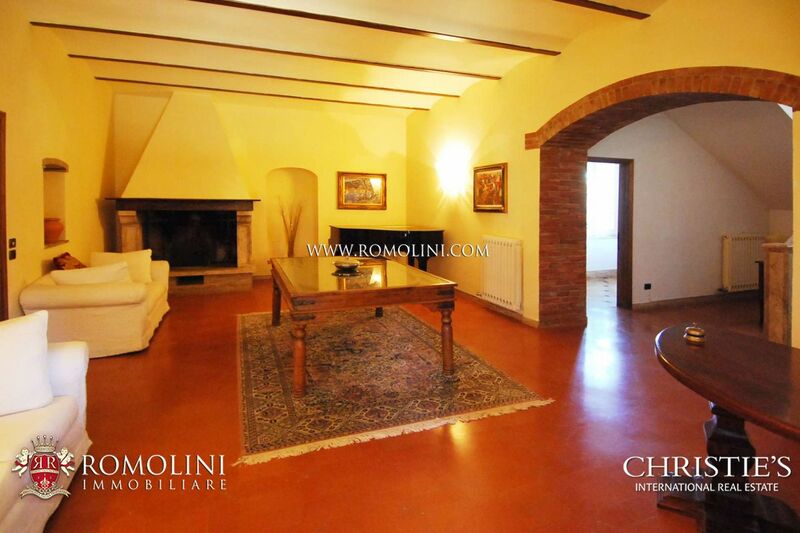 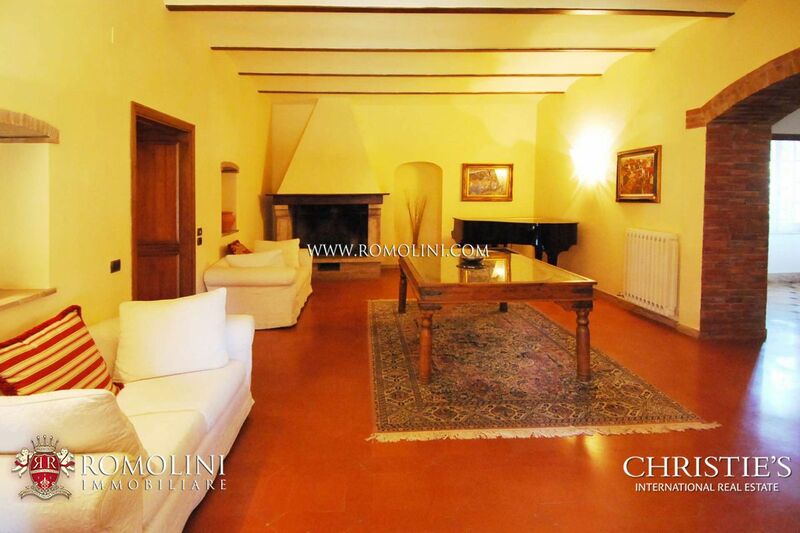 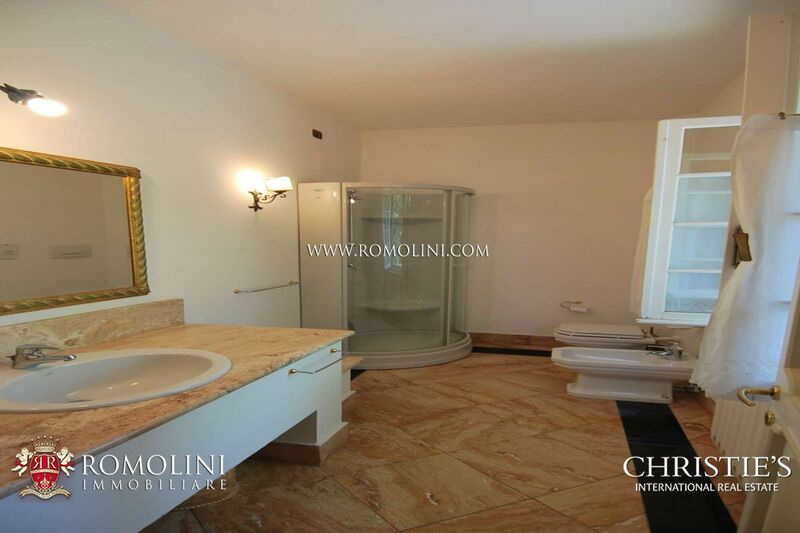 - First floor: four bedrooms with en-suite bathroom with access to the large terrace of 100 square meters. 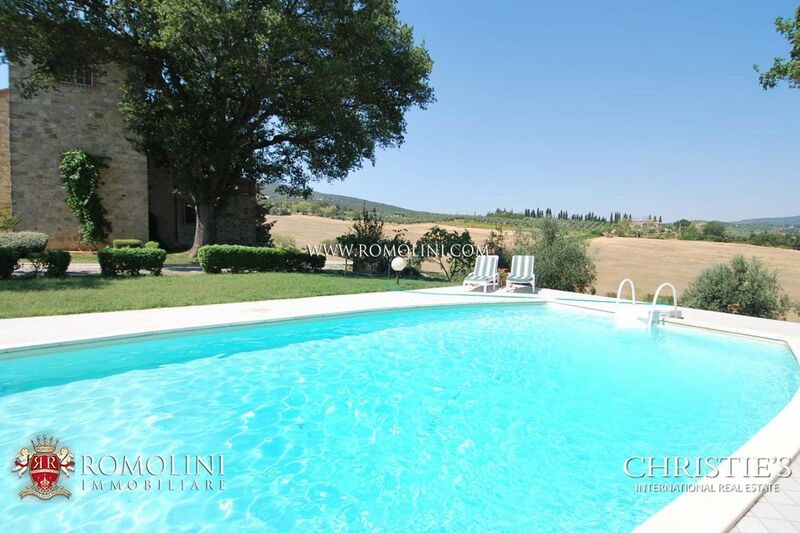 Chianciano Terme (9 km; 10’); San Casciano dei Bagni (15km; 20’); Montepulciano (19km; 20’); Castiglione del Lago (32km; 35’); Sinalunga (39km; 35’); Montalcino (47km; 50’); Cortona (56km; 50’); Arezzo (69km; 50’); Siena (85km; 1h 10’); Grosseto (100km; 1h 50’); San Gimignano (126km; 1h 45’); Firenze (129km; 1h 20’); Roma (166km; 1h 45’). 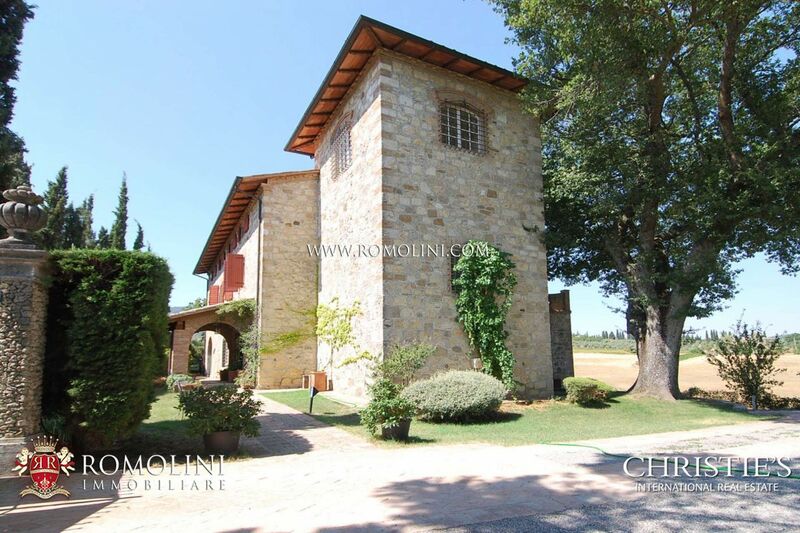 Perugia Sant’Egidio (72km; 1h 15’); Firenze Peretola (138km; 1h 20’); Roma Ciampino (176km; 1h 45’); Roma Fiumicino (194km; 1h 50’); Pisa Galilei (229km; 2h 10’).